I am so excited to be chosen as a Purex Insider! I feel honored. 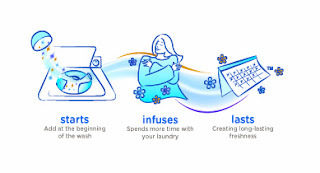 What does that mean well I get to share the newest and coolest Purex products with you my readers. Yay! I love Purex. I use their products all the time so when they sent me a top secret sample of their newest item I was amazed. I couldn't share it with you until after they hit Walmarts shelf on December 28th but now that day has come and gone I am excited to share with you the newest thing in fabric softener history. It is called Purex Complete Crystals Softener. OK so what's so new about it? Well Ill tell you! 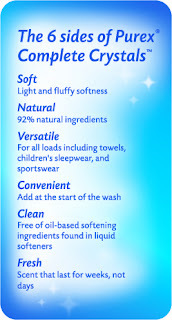 Purex Complete Crystals Softener is not a sheet and not a liquid they are little crystals. They look like bath salt lol. You just sprinkle the crystals into your laundry with your clothes and start washing. It leaves your clothes smelling fresh and awesome. It also leaves them soft and unstaticy. I love it. I can use it with my new HE washer and they can be use in front load or top load washers. Now for the even better part. 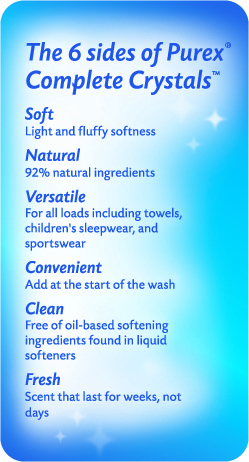 They are 92% natural and not oil based like other fabric softeners. That mean no oily residue building up on your clothing. Other thing is other fabric softeners can impair the flame retardant on your babies and children's clothes making them not as good but not Purex Complete Crystals Softeners they are 100% safe on your kids sleepwear and clothing. Also for yous that use sportswear or athletic wear that supposed to draw away the sweat and keep your body drier and cooler while you workout most fabric softeners reduce the effectiveness but not the crystals they work wonders and make sure all of your clothing works and looks and feels and smell like they are suppose to. I got like I said a sample bottle to use so I immediately washed my sheets and blankets with it. I love the scent and how soft and fluffy my sheets and blanket felt. Best part I have been using my sheets and blankets for over a week and half now and you still feel and smell the freshness. That's awesome. I then tried it on my towels and that was wonderful. My towels needed some refreshing! I then decided I love the smell so much I sprinkled a little into the ashtray of my van since we don't use it to give my van a fresh smell. These really are my new best friend. I cant wait to try the Lavender. They have 3 scents fresh spring waters, lavender blossom, and tropical splash. 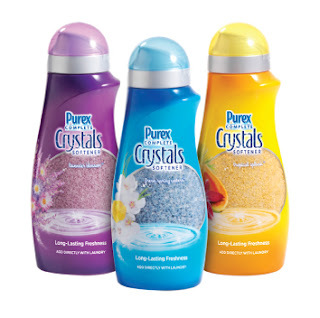 Purex Complete Crystals Softeners are available exclusively at Walmart first and then sometime in January and February they will be available in other retail stores. So head out to your nearest Walmart and check these out you will love them! We are giving 3 lucky readers a coupon to get a free bottle yay! Disclosure: No compensation was given for this review. I did receive a sample product from the sponsor for the purpose of this honest review. This did not affect the outcome of this review. All opinions are 100% my own. I would like to try the Purex Complete 3 in 1. Thanks for the review and giveaway. 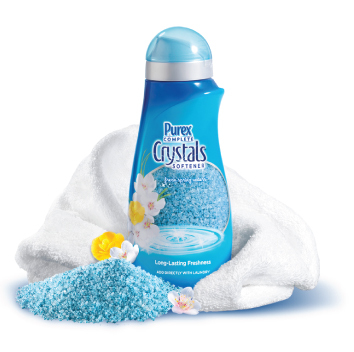 I use Purex Detergent and would love to try the Crystals. I entered the ZAC giveaway! I entered the iCarly giveaway! I entered the Susan K giveaway! I entered the Magna Blade giveaway! I entered the Eye BUY DIRECT giveaway! I entered the Spin n Go mop giveaway! I entered the Wataah Water giveaway! I entered the Orient Watch giveaway! I entered the Card Store giveaway! I entered the Soft Lips giveaway! I entered the Candlewick Book giveaway! I entered the Noxicare giveaway! I entered the Milly giveaway! I entered the Bella Sara giveaway! I entered the Kidorable giveaway! I entered the Cheeky Charlie giveaway! I entered the Lisa Leonard giveaway! I entered the Greenleaf Gifts giveaway! I entered the Piggy Paint giveaway! I entered the Montagne Jeunesse giveaway! I entered the Bridgewater Candles giveaway! I entered the Hasbro giveaway! 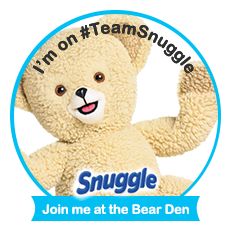 I entered the Build-a-Bear giveaway! I entered the Terro Bug Killer giveaway! I entered the Renuzit giveaway! I entered the Seventh Generation giveaway! I entered the Scunci giveaway! I entered the ConAir giveaway! I entered the Rubbermaid/Sharpie giveaway! I entered the Hasbro Sorry Spin Game giveaway! I entered the Pledge giveaway! 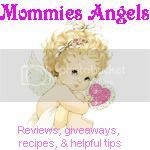 I entered the Mrs. Butterworths giveaway! I entered the Wits & Wagers game giveaway! I entered the Joolew giveaway! I entered the Votivo giveaway! I entered the Magix Xara giveaway! I entered the My Tot Clock giveaway! I entered the Fling Bins giveaway! I entered the Texas Treats giveaway! 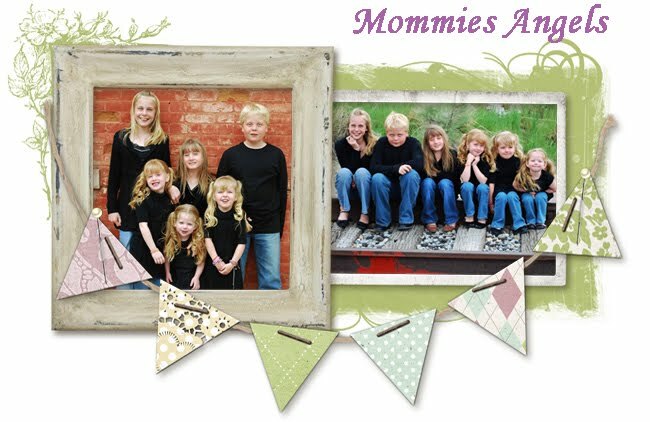 I entered the Creativity For Kids giveaway! I entered the Power Capes giveaway! I entered the Pawparazzi giveaway! I entered the Chico Bag giveaway! I entered the Epson Printer giveaway! I entered the Gallery Collection giveaway! I entered the Cover Your Hair giveaway! I entered the Fancy Pals giveaway! I would like to try the 3 in 1 sheets. I love the Purex Sweet Lavender and Cotton Softner! Smells so nice!